Happy National Pancake Day! In our family we love pancakes! Drew especially loves pancakes and asks for them every weekend for breakfast. We don't always get to eat them every weekend, but we do try and have them a couple of times a month. When we can't have them for breakfast, we have no problem making them for dinner. They are an easy and quick meal to make and we try and balance out their cake-y goodness by adding in a protein and healthy fruit. For dinner, we try and make them more savory and still enjoy veggies on the side! I have a little secret to share. When it comes to making plain old honest-to-goodness pancakes, Steve is the winner. Every time! His pancakes are truly the best and I have yet to be able to duplicate their fluffy, golden goodness. However, when it comes to flavored pancakes, I'm the winner! 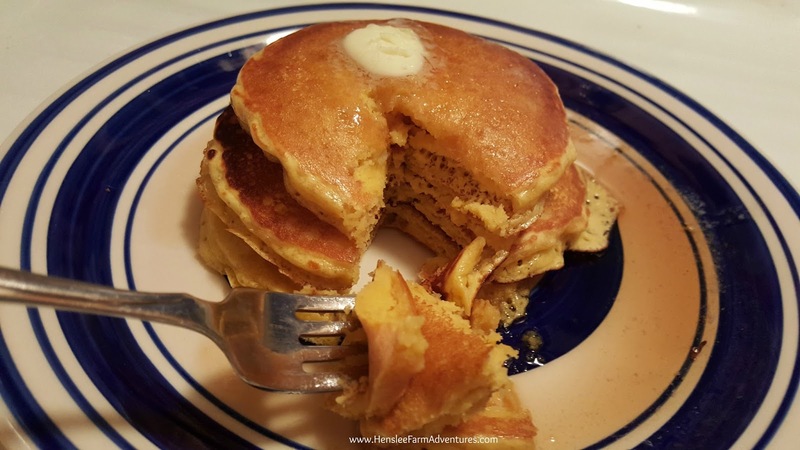 I thought I would share with you a recipe for pancakes that is a little different. This is a gluten-free recipe. 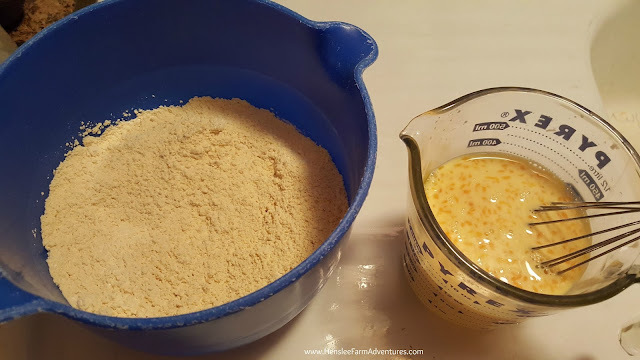 Most gluten-free pancake recipes use coconut flour, rice flour, or almond meal, but mine use something different...garbanzo bean flour! Yep, you read that right, garbanzo bean flour. It is one of the best flours I have used. You can substitute 7/8 of garbanzo bean flour for every 1 cup of wheat flour with the same results. That is almost a 1:1 ratio! That makes it very easy when it comes to subbing it for recipes. You can also use garbanzo bean flour in conjunction with other flours to make a gluten-free flour mixture. 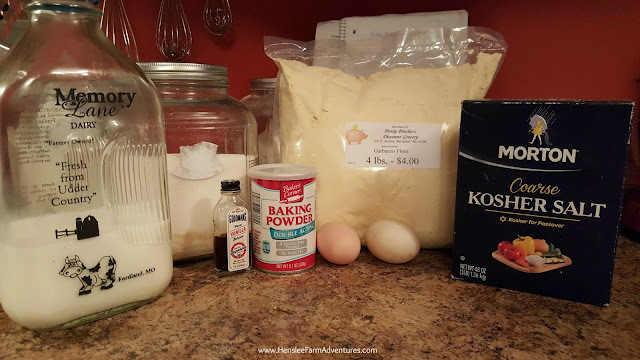 This flour works very well in cake and quick bread recipes. The first time I had this type of flour was when my friend Amy made a chocolate brownie, marshmallow, to die-for dessert! In fact she is the one that turned me on to this type of flour. Never heard of this type of flour before? Ever heard of gram flour? It's the same thing! It is also known as chickpea flour. This type of flour is high in protein and fiber. And even though it has double (don't worry it still isn't that much) fat as whole wheat flour, 70% of the fat you find in this flour is from healthy unsaturated fats. Those are the kind that you want to help lower your cholesterol. It also is rich in calcium, magnesium, potassium, zinc, iron, phosphorus, manganese, selenium, and copper. You can also use this type of flour to help thicken sauces and gravies. That is great when you are adhering to a gluten free diet. Ready for the recipe? Well here it is! Another recipe with mainly pantry staples for ingredients. If you want to use regular flour feel free! First mix the dry ingredients together in a bowl. In a separate bowl, mix together the wet ingredients. I like to use my measuring cup to mix the wet ingredients together as you can see below. Next add the wet ingredients into the dry ingredients and mix until just incorporated. You really don't want to over mix this just as you would a normal pancake recipe. Place the batter on a hot griddle. You can use whatever you like to grease the griddle, butter, coconut oil, olive oil. I use whatever I have on hand. 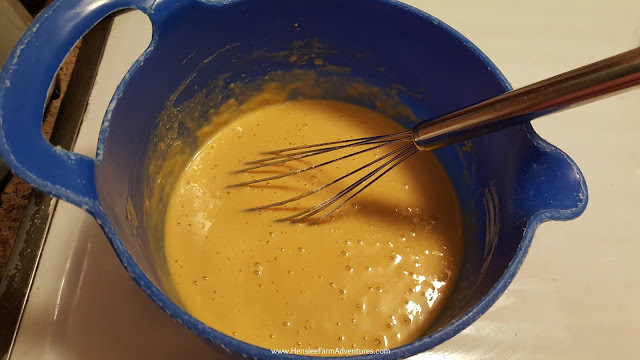 I also use a 1/4 cup measuring cup to measure out my batter so that the pancakes are roughly the same size. Cook them until they have bubbles and the outer edges are starting to dry out, like the picture above. Then flip to the other side. Cook for an additional 30 seconds to a minute and then remove. 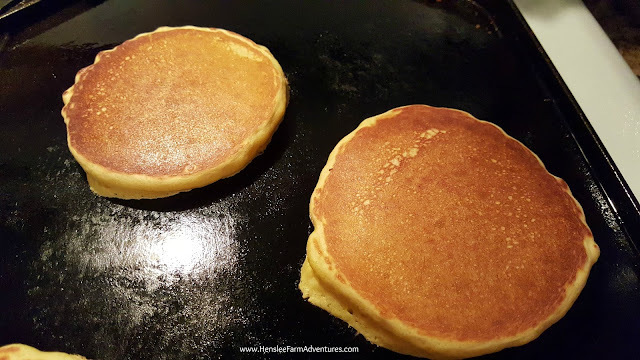 These pancakes cook up so nice and have a gorgeous golden brown color. The only thing that I would add to this recipe is a little cinnamon. I did not add that to my recipe because I know not everyone likes cinnamon. I did sprinkle some on top after the fact and it was ah-ma-zing! 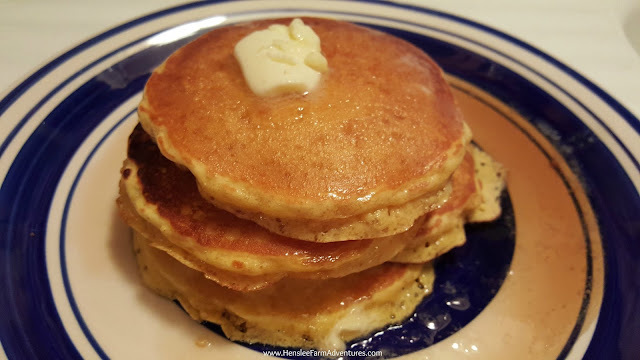 These pancakes are so easy to make and so delicious! They would also be scrumptious with chocolate chips or blueberries added. 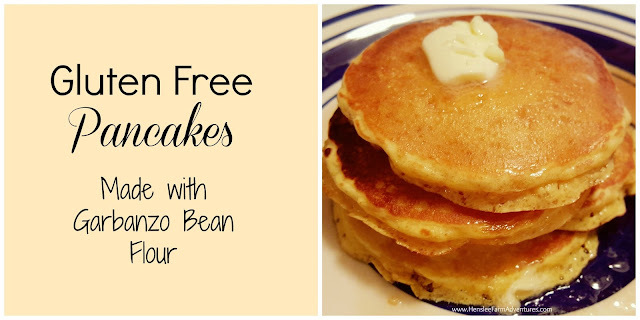 My kids loved them and I didn't mention the fact that they were gluten free, OR that they were made from beans! Want a clean copy of the recipe to print out? Click HERE. Need a great and economical syrup recipe for your pancakes? 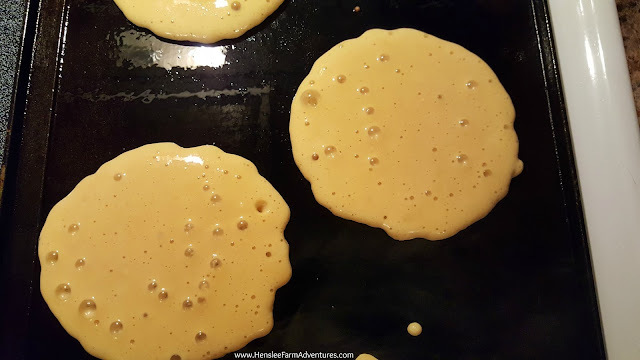 Then visit my post on how to make your own pancake syrup. It is yummy and not too sweet! Don't have time to make pancakes? Then you are in luck! Today IHOP is giving away one free short stack of Buttermilk Pancakes per customer. You can find out more information here. Have you used garbanzo bean flour before? Let me know in the comments below! I would love to hear your stories! !